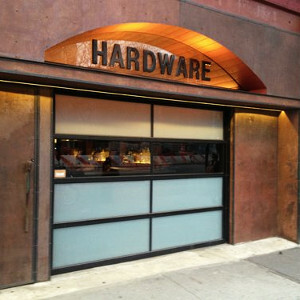 A Hell's Kitchen bar with a big garage door. Accepts card, but with a tab minimum, which can get dangerous during happy hour (highly recommended). Also hosts drag shows in the back.